In 1938, a community of 250 black families lived and farmed land in Transylvania, LA owned by a company in Memphis. Many of them had lived there prior to the end of slavery. They had been promised that if the land was ever sold, they would be given first opportunity to purchase. Instead, to their surprise, the land was sold to the Farm Security Administration. Under this New Deal program under President Roosevelt, this land would be resold to poor whites in 40-acre plots for farms. Each farmer would also be provided a home and loan financing. None of the black farmers who already lived there would be allowed to purchase any of the land. Rather than accept this inequity, my father and most of the farmers in this African American community rose up in protest. They organized into a branch of the NAACP and with the assistance of the national office of the NAACP, they were able to launch a national campaign that brought their case before President Roosevelt himself. The national black media got African Americans engaged all over the United States. 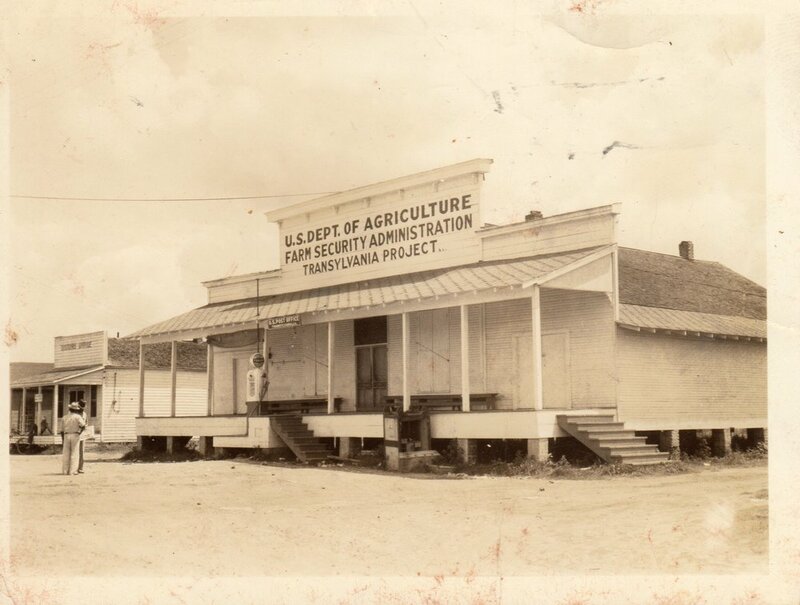 Letters were written to Washington by black college presidents and business leaders, and many others in an attempt to help this small community in North Louisiana stay intact and to pressure Washington to allow black farmers to buy land. Although the community was still forced out of Transylvania, they did not leave empty-handed. An agreement with the Farm Security Administration opened this program to many of the African Americans of this community. Several other farm projects were established for African American farmers, including Henderson Project and Lakeview Projects, and they were finally able to purchase 40 acres farms and have their homes built. A young NAACP attorney by the name of Thurgood Marshall, who would later become the first African American Supreme Court Justice, was sent down to ensure that they received their land and new homes. African Americans still own and farm some of this land in East Carroll parish. Following are links that chronicle all the twists and turns along the journey to home/land ownership.